Kilauea eruption. what does that mean for my car? Will Volcanic Ash Damage My Car’s Paint Job? On May 17th, 2018, Kilauea Volcano made national headlines when the Halemaumau Crater erupted, ejecting ash, toxic fumes, and volcanic glass 30,000 feet into the air. Since May 3rd—when the initial eruption alerted residents—Kilauea has shown no signs of stopping. Dozens of lava vents have opened alongside lower Puna, and ash continues to affect air traffic and smother property for miles in every direction. As of this writing, thousands of people have been evacuated from nearby neighborhoods and hundreds of millions of dollars in property damage has been reported. Most people think of lava or large chunks of falling debris as the main cause of property damage during an eruption. But ash plays a significant role in property loss as well. This article explains how volcanic ash can damage your vehicle’s paint, and what Hawaiian residents can do to prevent that damage from happening. Ash clouds are massive formations of pulverized rock, volcanic glass, and microscopic mineral shards, which can travel for hundreds of miles and even be seen from space satellites. As the clouds travel, their heavier elements slowly fall to earth, leaving a trail of fine smoke-colored dust in their wake. Volcanic ash is rarely toxic to humans, although it may exacerbate health issues that already exist. The real issue with ash is how damaging it can be to vehicles and infrastructure. The fine grains get into everything, from vents and engines to water networks and power supply systems. If ash isn’t removed immediately, the damage from these grains can do significant and lasting damage. Can Volcanic Ash Damage My Vehicle’s Paint? Unfortunately, volcanic ash does lead to vehicle paint damage. To understand why that is, you need to know a few basics about how paint layers work on a car. All vehicle paint jobs are layered, with a semi-protective clearcoat on top, a basecoat underneath, followed by a primer and an E-coat. The clearcoat is the thickest layer, usually between 30-50 µm. Taken together, the top four layers are just a bit thicker than a single human hair. ​Volcanic ash particles are also very small, ranging between 60-120 µm. It’s only when we magnify them that we see how sharp their edges really are. Ash particles aren’t likely to cause visual scratches on your vehicle’s paint—at least not right away. However, they do undermine the structural integrity of the clearcoat and underlying layers of your vehicle’s paint job. The microscopic fibers of ash are just sharp enough to cause micro-tears, eventually leading to paint fade and chipping. Can Acid Rain Cause Vehicle Paint Damage? When water and oxygen in the air combine with sulfur dioxide and nitrogen oxides from volcanic eruptions, it can lead to rain water with an acidic element. In fact, the most recent explosion of Hawaii’s Kilauea volcano has already produced some acid rain. Acid rain isn’t always dangerous to humans. But it can have a serious impact on metal, including your vehicle’s paint job. According to the Environmental Protection Agency, even slight traces of acid within rain can damage cars, as well as statues and monuments. Normal rainfall, says the EPA’s website, tends to have a pH of about 5.6. Acid rain, on the other hand, has a pH of about 4.2-4.4. Within this range, acid rain won’t affect humans. But it will cause metal corrosion, which is why it’s essential to keep tabs on weather reports during major eruptions like our most recent at Kilauea. How Do I Protect My Paint from the Volcanic Eruption effects? Buy a vehicle cover. If there is an ash warning in effect, have it with you at all times, and keep it covered both at home and at work. It’s an extra chore to perform, but it could significantly reduce damage from ash. Regularly clean your vehicle. You may have to wash your car once a day, but at least you’ll keep your paint job safe. Equally important, rinsing the ash off your vehicle will limit the damage it does to your air filters, alternator, radiator, etc. Use public transportation for heavy ash conditions. If a major ash warning is in effect, you may want to keep your vehicle off the road entirely. Constantly covering your car and rinsing it off is a lot of work. And leaving your ride at home is never an ideal option. For protection that stays with your car and keeps your paint job looking as good as it was on the day you bought it, ceramic coatings are the way to go. 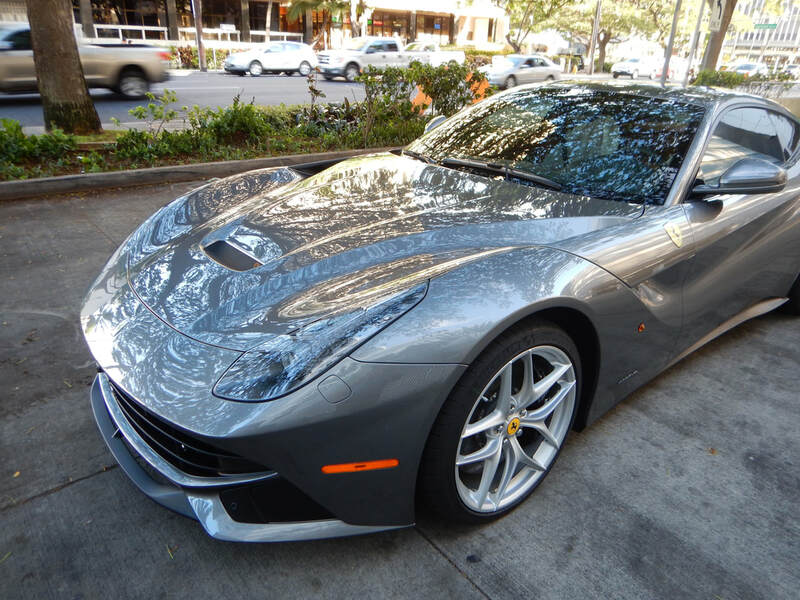 Ceramic Coatings are an additional layer of paint protection that goes over a vehicle’s clearcoat. It’s thick enough to protect against even the most microscopic ash particles. Plus, it magnifies a vehicle’s original paint job, which gives it a beautiful, sleek, newly-washed shine. If you’re concerned about the ash from recent eruptions, and want to learn more about what you can do to protect your car, don’t hesitate to contact the experts at Auto Concierge Hawaii. Honolulu invites the opulent, the luxurious. It is the warm days and fresh breezes that invite a throng of tourists to recharge and bask in the tranquil nature of the island. It shares its wealth with the multitudes and refreshes the weary. Those who find their way to the beauty of Honolulu’s magical haven, understand the value of excellence, the enjoyment of peace. It is this group of voyagers that care for the finer things, in both their living and driving adventures. This understanding allows them to seek the best in class to service their vehicles and protect their quality of life. The importance of car care is as necessary to the experience as it is to the maintenance of your vehicle. Protecting your valuable assets is just a part of ownership that ensures your automobile is able to operate at peak performance. Discovering a company that understands your value for your driving enjoyment and is committed to your satisfaction is imperative to your peace of mind. This is achieved by utilizing a business dedicated to the perfection of your vehicle. 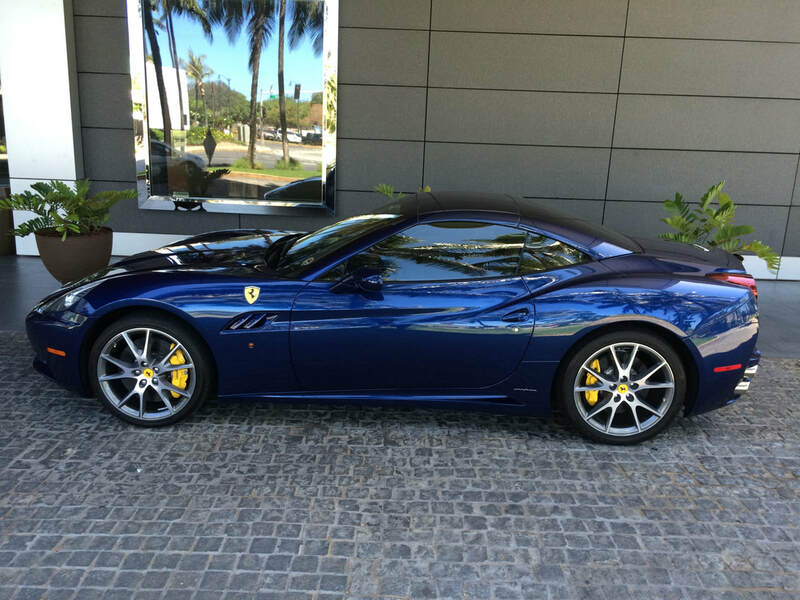 Having an owner who understands the die hard passion for luxury car owners and their need for their machine to be in premium condition is a part of the reason why Auto Concierge is so successful. Sergio is committed to excellence, and that shows in every car that is detailed. He values his clients and is determined to ensure the absolute best quality of both service and products. The end result is a customer registry full of referrals and repeat clients. This is just a small part of what makes Auto Concierge so enjoyable. The staff is completely committed to the satisfaction of their customers and maintaining their impeccable reputation. The exterior look of your automobile is approximately 30 percent of its resale value. With this figure in mind, it is important that your vehicle is properly detailed and carefully protected. Most customers prefer to utilize a professional service that excels at quality paint application and guarantees their work. Finding a reputable company to provide a professional paint coat is not always easy. Many companies will cut corners and administer an inferior paint in order to boost their profit margins. It is important to choose a business that operates at the height of integrity and understands the value of their reputation. This helps to build community consideration and ensure repeat business. With the humidity in Honolulu’s tropical atmosphere as well as the volcanic gasses, the environment can be very hard on your vehicle’s paint coating. Adding a protective layer to your automobile’s exterior can help protect it from the elements. Many car enthusiasts enjoy transforming an old heap of junk back to its original glory. One part of the passion at Auto Concierge is to bring your vision to life. Employing the latest technology and highest standards in detailing, they are able to guarantee a perfectly applied paint covering that will transform your car from tired and worn out, to gleaming and show worthy. In many cases, the pride of ownership is necessitated in the absolute flawless precision of a well-maintained vehicle. It is this understanding that enables Auto Concierge to go the extra mile in performing routine care and expert service. Understanding the importance of preserving your car’s cosmetic integrity is one of the reasons they use the highest quality cleaners and microfiber cloths to protect and clean your luxury auto. Their service team is dedicated to your satisfaction and will travel to your location in order to properly care for and preserve your vehicle. They are committed to the longevity of your automobile and maintaining and restoring its precision for your driving enjoyment. Honolulu beckons with it’s beautiful beaches, soaring vistas, and rich history. It is in this vibrant land that many will invest in a car fit for the views. Even the chore of moving from one location to the next can become a chance to connect to the earth, to flood your senses with the tropical breezes that blow soft across the land. We believe in a long-term relationship, that's why over 90% of our business for auto detailing comes from existing clients. Providing a first class experience is our number one priority and one of the main reasons our auto detail business was created. Living in Oahu is the very essence of a charmed life. It extends grass covered cliffs into the warm sweep of a tranquil sea. From the heights of dormant volcanoes to the fish darting in and out of the reef, you know that you’ve found the perfect backdrop to an existence that values the finer things. Known as the island of the Kings, it has been the home of the great Hawaiian monarchs. How fitting that it now houses the capital and builds upon its colorful heritage. With such a rich history those that live in its paradise are also aware of the drawbacks. With Honolulu skyscrapers crowning the sky and tourists flocking to sun themselves on the warm beaches, locals need a way of quickly navigating through the mounting traffic. ​There is nothing better than a richly appointed sports car that is able to hug the turns and purr with the precision of a finely tuned motor. 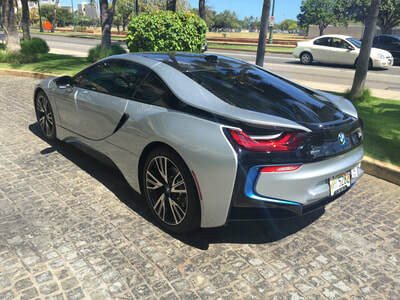 Having a car that sparkles as pristinely on the inside as the exterior is one reason locals seek the expertise of Auto Concierge Hawaii car detailing. With all of the outdoor experiences beckoning, many forget that there is also a large group equally passionate about their mode of transportation. Oahu has long enjoyed a history with automobiles; the first roadster cruised on the scene October 8, 1899. 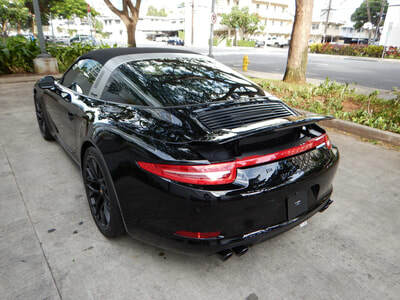 For the past 18 months Auto Concierge Hawaii has been hosting Cars and Coffee at their auto detail shop at Ala Moana, where the sports car enthusiast is able to bring their vehicles to the show and relish in their unique modifications and enhancements. Utilizing the quality care and attention to detail is what drives many to find a company that values how their vehicle looks as much as they do. The car community is strong with very active clubs such as Porsche Club of Hawaii and the BMW Club of Hawaii and radio hosts, like George Nitta, sharing expert advice with their followers. 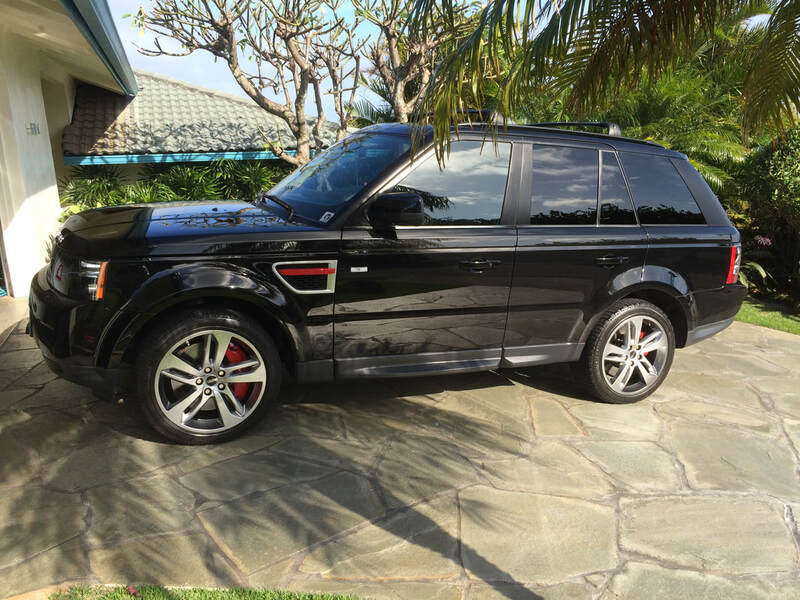 Those on the island know that Auto Concierge Hawaii is often the recommended company to keep high-end vehicles at their finest. 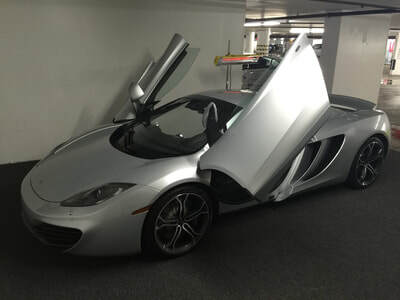 When it feels like riding on a cloud and can hit 60MPH in 3.2 seconds, you know you have something to boast about. Luxury sports cars in Honolulu enhance the tropical paradise, bringing driver experience and passion to a crescendo. Whether you’re exploring Hawaii Loa Ridge for a day hike or cruising through Kahala and Diamond Head, having a car that allows you to bask in the journey is a worthy investment. It gives you the opportunity to take in the best Oahu has to offer in utmost style. Peeling back the layers of confinement and giving drivers the sense of unhindered freedom. Driving is all about the moment and for those who have made Hawaii their home, having a car that builds upon all of the amenities is just another aspect of a life that is focused on aesthetics. Honolulu has long been known as having some of the worst traffic in the country. When you have a car that’s able to whip through the crowds and take you out of the congestion and into the open air, where you’re able to roll down your windows, crank up your tunes, and let all of the stress of the week fade away, it’s beyond perfect. It’s this reason that so many have invested in a quality sports car. It’s not just for the surfers to find their edge on the waves, but for those more at home behind the wheel to challenge the turns and the roadways when the wind has calmed to a lull. Hawaii life, it’s not always outside, sometimes it’s the journey that defines the destination.